Every so often you fall in love with a beauty product line. Some of my favorites are a moisturizer by Acqua e Sapone and the Balance Serum/facial oil from Wonderland Organics. I can't live without these things. New to my cache of favorites is the Matcha Scrub from Urb Apothecary, a company that's based out of my hometown of Santa Cruz, Calif. This exfoliator is gold—it leaves my skin flake-free and feeling oh, so soft. Last week I reviewed the Matcha Scrub on The Penny Rose and this week I'm tackling a trio of the company's face masks which I also can't get enough of. 1. Cacao Mousse Mask: With a slight chocolate smell, you just might be inclined to lick your lips here, but don't. This is a face mask only, and a powerful one at that. When your skin needs a serious pick-me-up, this bold mask will do the trick. It smooths skin, ceases inflammation, and "works wonders on blemish/pimple prone skin." $15. 2. Pretty Mud Mask: OK, so you might not look your best while this mask is settling in, but afterwards, you'll have a whole new face. This mask comes in a powder form and you add apple cider vinegar, aloe vera, or water to it and create a paste, which you then spread on your face. (I used aloe vera.) Use two to three times a week to "brighten dull skin, reduce the appearance of pores and fine lines, and clear up problem skin." Brilliant stuff that works. $8. 3. 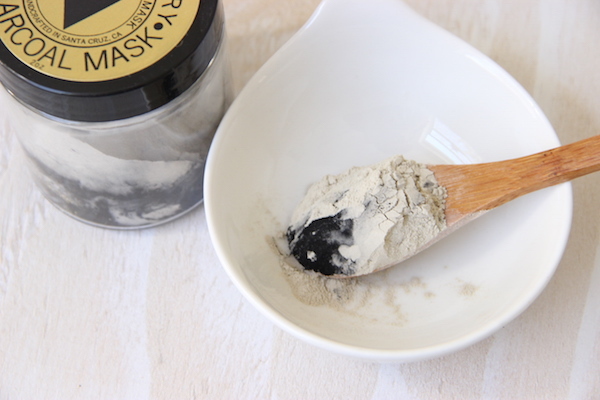 Charcoal Mask: Ready to tackle that acne and give your skin an all-over boost? Combining clay, Ho wood essential oil, and calendula, this mask doesn't mess around. Be prepared for smooth, tight, cleansed, fresh skin after one use. $8. Learn more about this smart, effective, powerful skin care and body line here and find it at Stripe in Santa Cruz and at Little Paper Planes in San Francisco.